A simple transport system for the arranged transport of shafts and pipes/tubes. A step belt can be used for the transport of waved workpieces to other machine tools or assembly machines. 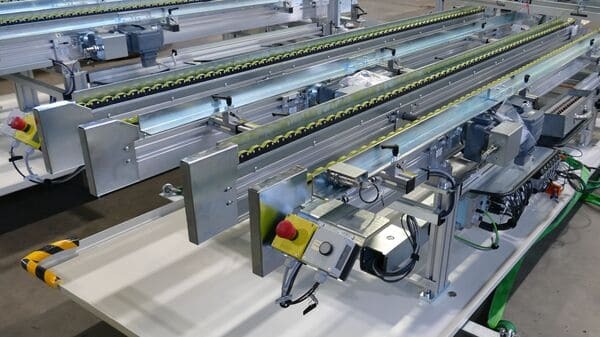 These transport conveyors can be designed and manufactured in various lengths, chain widths, and sizes.